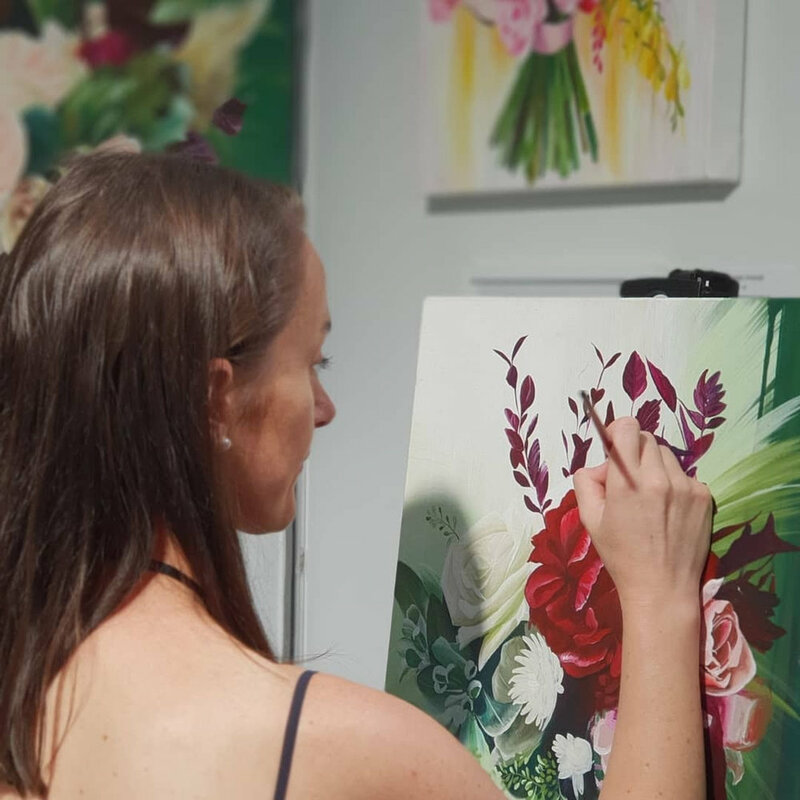 Recently I painted live at the Melbourne Bridal and Honeymoon Expo. To say I was nervous is a total understatement! I was way of out of my comfort zone and I honestly wanted to just go home and hide in my studio. But I had prepared months for this show and I couldn’t simply give up now. Plus I had publicly announced I would be painting live and I am woman of my word. So I carried on, put my paint brush in my hand and zoned my focus to my painting. If I'm gonna be totally honest here, I am way more comfortable with a paint brush in my hand then standing awkwardly in a booth trying to 'sell my art.' It was a challenging day and I felt uncomfortable pretty much the whole time. The magic? As a result of painting live I was asked to paint live in a local Melbourne Florist which opened up my eyes to another possible steam of income for my business. She saw me serving my gift and came to my booth to ask me to paint in her store. Moral of the story, had I not stepped outside of my comfort zone I would have missed out on the opportunity. The magic really does happen outside your comfort zone . The question is, are you brave enough to step outside of your zone.